?How can I find a workers' comp attorney I can trust to do a great job in Ohio? When an Ohio worker is injured on the job, he or she may have a variety of benefits through the state workers’ compensation system. Workers’ compensation benefits exist to cover the medical care and lost wages experienced by an injured employee. There are a number of different types of benefits that address a wide variety of employment and injury situations. These payments are typically offered every other week, and they are paid to workers during the recovery period or ongoing if the injury results in a permanent total disability. There are other payment options, however. Lump sum settlements are one alternative way to resolve a workers’ compensation case. While a lump sum award may not be advantageous in every situation, sometimes an injured worker may want to pursue this opportunity. Here, we look at lump sum settlements—what they are, how they work, and if they might be right for you. What Is a Lump Sum Settlement? Full – Settling all allowed conditions, compensation, and benefits. Partial – Settling only certain conditions, compensation, and benefits, leaving a reserve for possible future use. Typically, this involves settlement of the indemnity (compensation) portion of the claim while leaving open access to medical treatment. In Ohio, an agreement is reached among the injured worker, the employer, and the BWC. The BWC must approve all settlements, even if the employer and employee have agreed on terms. Money in your pocket now. Rather than waiting for the compensation to be doled out week by week, a lump sum offers cash quickly. This can be helpful for those who have specific needs right now. Safety net for you and your family members. Workers’ compensation benefits will cease when you are medically cleared for work or upon your death. Once you agree to and are awarded a lump sum, however, that money is yours to use how you see fit. Closure of your workers’ compensation claim. Navigating the workers’ compensation claims process can be frustrating and time-consuming. Accepting a lump sum settlement can put an end to the process and help you move forward with your life. No stress over medical exams or self-insurance investigations. Once the claim is settled, self-insured companies have no reason to keep a watchful eye on the injured employee. Fears about medical exams and investigators can be put to rest. 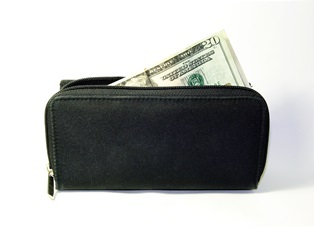 There are advantages for employers to offer a lump sum settlement. A settlement can reduce claim costs and premium rates and help employers avoid time-consuming hearings or litigation. Your case is closed permanently. Once you accept a lump sum settlement, it is typically impossible to receive any further compensation for that injury. The future is unpredictable. There may be unforeseen complications of your condition, which your employer and BWC would not have to cover. Financial responsibility is required. Weekly payments of disability benefits essentially force an injured worker to be fiscally responsible. For some, it's difficult to manage a large lump sum amount appropriately, resulting in the money being spent too quickly and unavailable for future use. Protect your future rights to medical care and compensation. Avoid unnecessary tax liability, especially for those who may also qualify for Social Security disability benefits. If you or someone you love has suffered an injury at work and you are wondering if a lump sum settlement is a good option, contact the experienced legal team at Monast Law Office. Jim Monast can help you understand your rights and work to ensure you obtain all the compensation to which you are entitled. How Long Does it Take to Get A Workers' Comp Settlement?